If you hate yard work, have never had a green thumb or simply do not have the time to perform landscaping chores, drought-tolerant landscaping might be the perfect choice for your yard. There are a lot of misconceptions about low-water landscaping, including that it is boring, lacks color or will make your yard look like a desert. Of course, none of this is true, and you might be surprised at just how impressive xeriscaping and other types of drought-tolerant options can be. You might be even more surprised at just how many options there are when it comes to designing a low-water yard. In fact, the choices available to you are so varied that you could design anything from a gorgeous yard that does not have even one plant or living thing in it to a lush, green garden where every inch of earth is covered with foliage. And, more importantly, you will likely be very surprised and just how much time you can save when you give up those high-maintenance landscaping features and opt of low-maintenance choices, such as native plants, succulents, manufactured grass or paving stones. Here are four reasons drought-tolerant landscaping is the perfect choice for folks who hate gardening. The fact that the broad array of choices in low-water landscaping allows you to have a beautiful yard with absolutely no plants to care for or a lush, verdant landscape with every inch of your yard covered in green was mentioned above. But one of the really great things about re-designing your landscaping with water conservation in mind is that you can even have both. It is true: You can have a lush, green yard without ever having to care for another living plant or tree. The easiest way to accomplish this is by replacing the living landscape components in your yard, such as a natural grass lawn or flowerbeds, with attractive, easy-care artificial grass. A synthetic turf lawn gives you the best of both worlds and allows you, your family and your pets to enjoy the look and feel of natural grass without the time-consuming maintenance requirements. 2. It will survive if you forget to water it…or feed it…or prune it. Not everyone has a green thumb, and that is okay. You can still have a colorful, beautiful garden without the innate ability to tell when a plant needs water or when a tree could use a little fertilizer. Drought-tolerant landscaping typically includes native plants that have evolved in a manner that allows them to thrive in your area with little water and few ongoing maintenance requirements. This means that if you forget to water them on your designated water day, you do not have to try to sneak them water under the cover of night in fear of being turned in by a well-meaning neighbor. If you choose native, drought-resistant plants, you will notice that once they are established, you will no longer have to plan your week around making sure you are home to water on your designated watering days. In fact, not only will you be able to skip watering days without worry, but you will also be helping work towards a time when Southern California homeowners may no longer have mandatory water restrictions that determine which days we can water. As for fertilizing, pruning and other plant care tasks, while any plant is going to do better when properly cared for, you will find that most of the low-maintenance options you would use in a drought-tolerant landscaping redesign are going to survive just fine without any special care. 3. You may never have to pull weeds again. Can you imagine a world in which you never have to pull another weed? Depending on the landscaping features you choose, this weed-free world really is a possibility. One option is to install an artificial grass lawn, which requires no weeding, mowing, watering, fertilizing, aerating or edging to achieve the beautiful and inviting look of a perfect lawn. 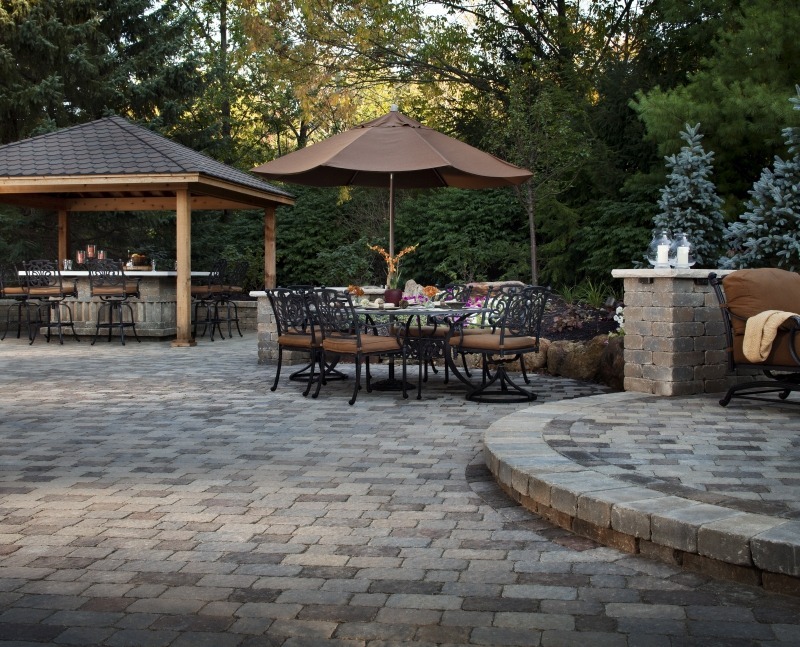 Another option is to turn your backyard into an amazing outdoor living and entertaining area with one or more paving stone patios. 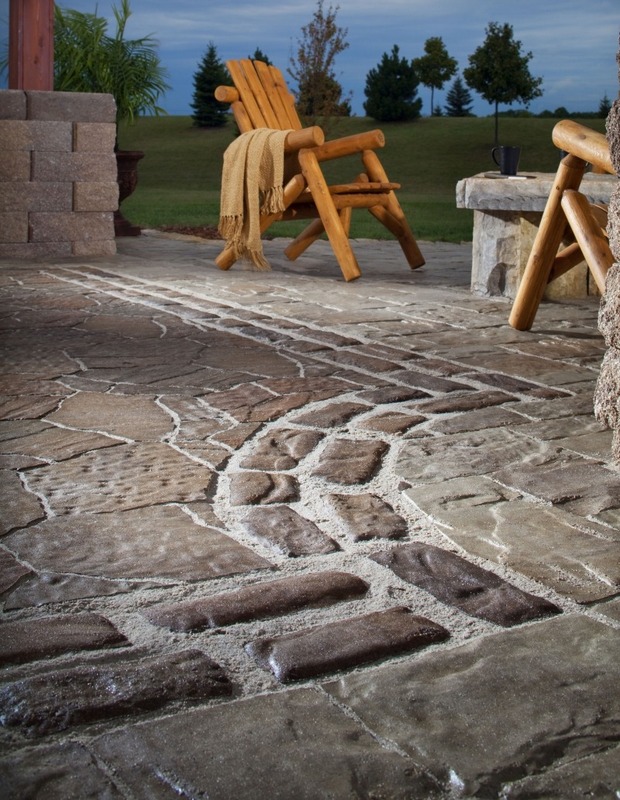 Paving stones are attractive, durable and slip resistant, which makes them an ideal choice for outdoor entertaining. You can create beautiful outdoor rooms that serve different purposes or one large, multifunctional space. 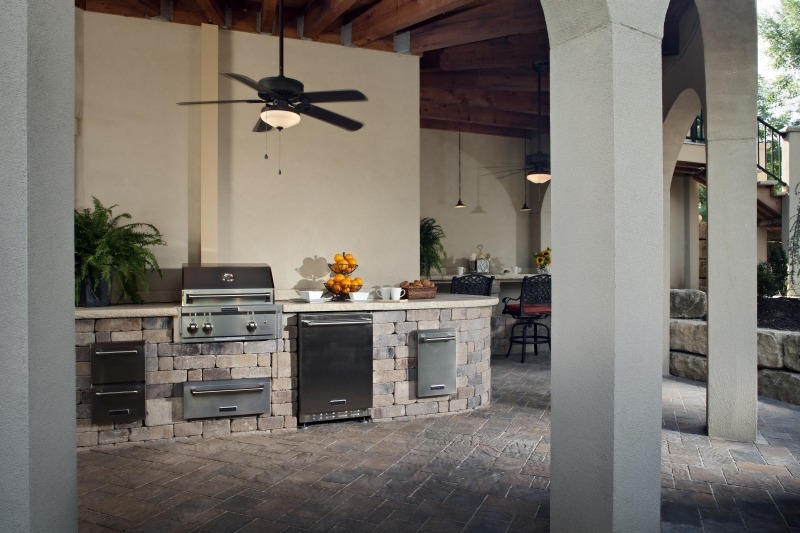 The array of styles and colors available makes it easy to select an option that harmonizes with the architecture of your home, and the variety of patio design options allows you to choose the perfect option to fit both your lifestyle and your personal style. If you are ready to give up pulling weeds for good and get a backyard that is more functional and more attractive, contact one of our design consultants today to discuss your options and get your project started. 4. You can have a variety of textures and colors. 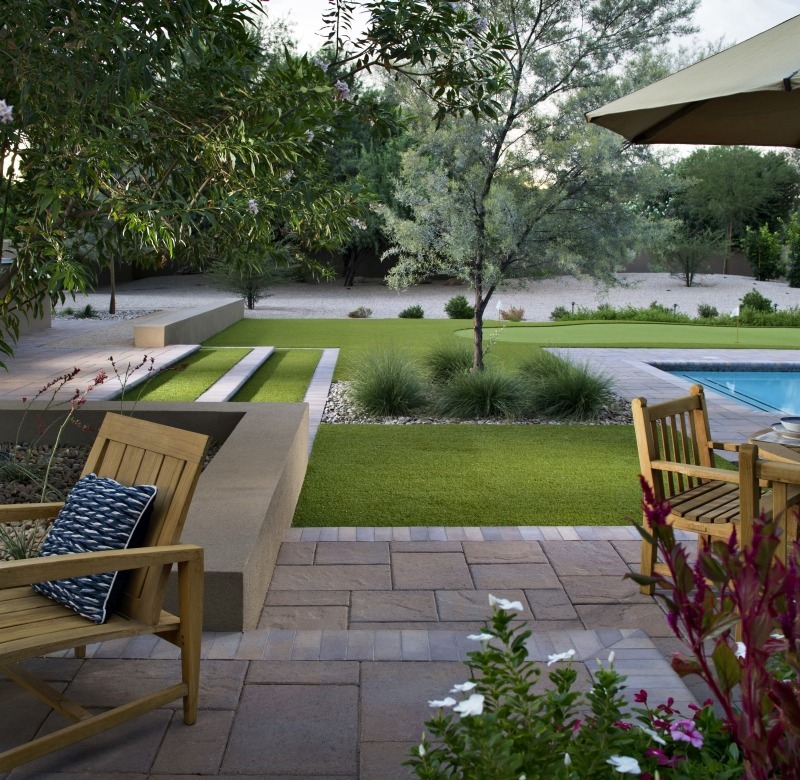 Many people mistakenly believe that low-water landscaping means giving up vibrant colors and varying textures. In fact, you can actually have more color and texture in your yard when you redesign your landscaping with low-water, low-maintenance options. This is particularly true if you are replacing a natural grass lawn, which is mostly shades of green, yellow and brown. With native plants, shrubs and trees that require little water and care once established, you can still have plenty of green, yellow and brown, as well as pink, yellow, orange, red, purple, white, silver and blue. Once you start looking into drought-tolerant succulents, flowering trees, and plants with vibrant blooms, you will likely be very pleasantly surprised at the wide array of colors you can add to your yard. Do you hate gardening? If so, how did you achieve a functional, attractive, low-maintenance yard?